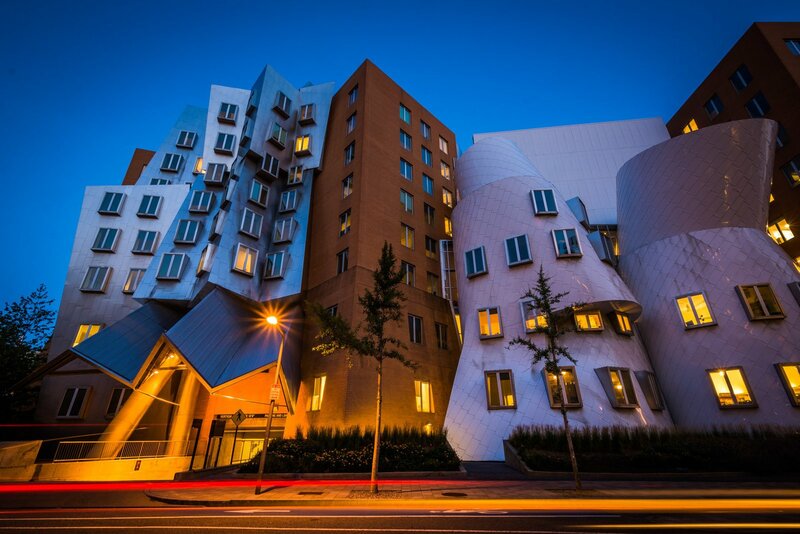 In a glowing appraisal of Gehry's Stata Center, Boston Globe architecture columnist Robert Campbell wrote: "The Stata is always going to look unfinished. It also looks as if it's about to collapse. Columns tilt at scary angles. Walls teeter, swerve, and collide in random curves and angles. Materials change wherever you look: brick, mirror-surface steel, brushed aluminum, brightly colored paint, corrugated metal. Everything looks improvised, as if thrown up at the last moment. That's the point."